The battle for the Indian consumer was never going to be an all-American affair. Walmart’s splashy acquisition last year of Flipkart Online Services, the home-grown e-tailer giving Amazon.com a solid run for its money, might have given the impression of a two-horse race. But billionaire Mukesh Ambani wasn’t going to watch from the sidelines. And now India’s richest man has jumped right into the fray. 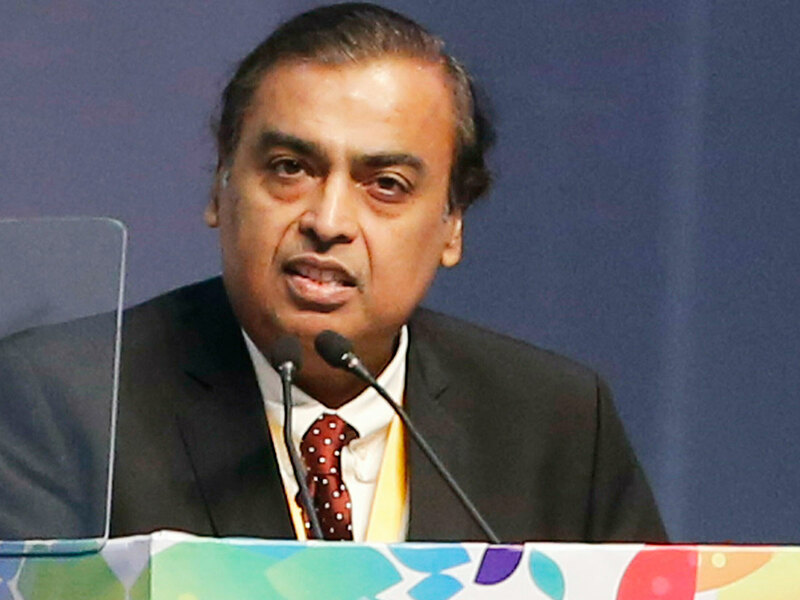 Ambani, chairman of the petrochemicals-to-telecom conglomerate Reliance Industries, has a four-legged plan to connect India’s 30 million small retailers with consumers. One, neighbourhood marts will be connected to Reliance Retail’s footprint of almost 10,000 stores, offering them common inventory-management, billing and tax platforms as well as low-cost payment terminals. That will give the expanded retail network formidable sourcing power. The second hook is Ambani’s telecom business. Consumer e-commerce in India is dominated by the urban middle-class. Out of the country’s 500 million internet users, almost 200 million live in rural areas where one out of four goes online less than once a month. No wonder the number of online consumers, while growing rapidly, is expected to be only about 120 million this year. Reliance Jio Infocomm alone has 280 million digital subscribers. Third, Indians are watching almost five billion hours of video a month on their mobile phones and fibre broadband connections with Jio. That stickiness gives Ambani heft to promote private-label fashion, currently housed under the brand AJIO. Finally, Ambani’s ability to influence policies in his home market shouldn’t be underestimated. Just as Reliance gets ready to push ahead, the Indian government has tweaked its e-commerce rules and made them more onerous for Amazon and Walmart-Flipkart. Until now, foreign retailers had found ways around a law that allows them to act only as pure marketplaces that don’t stock their own inventories or offer discounts. Now that the loopholes are being plugged starting next month, Ambani is pitching the idea that Indians’ shopping data should be stored locally. Reliance Jio’s digital investments have already exceeded $40 billion. But in India’s hyper-competitive telecom market, the average revenue it can get from users isn’t even $2 a month. One way to make a carriage- and content-centred business spew out profits is to make it a triple play by throwing commerce into the mix, and lacing it with good, old-fashioned lobbying.